Awash with charm and simply eye catching, the Sloane collection offers sure-fire solutions to adding a little revitalisation to the living room. 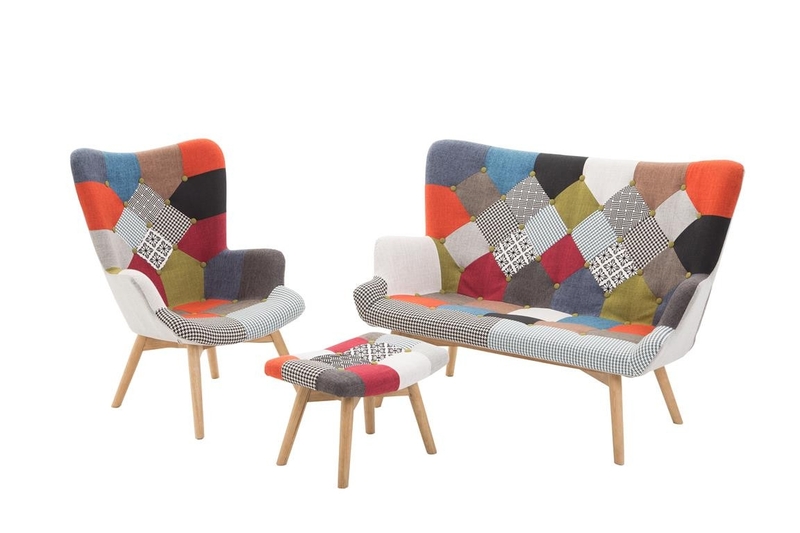 Each item from the Sloane collection is adorned with an enchanting, multi-colour patchwork fabric motif, making them an endearing addition to any home. Though it may be a concise collection, the Sloane is bursting with personality. An alluring and accommodating bed, a compact yet comfortable sofa, a warm and welcoming arm chair and a stout yet cosy foot stool make up the superb Sloane collection. The combination of these items makes for a delightful ensemble in the home. Each item from the Sloane collection arrives fully assembled, making them simple to assimilate into the home from the moment they arrive.